Game night is the norm at my house. I think it’s a great way to get the kids off the electronics and interact with the family. Tonight we played 3 Little Pigs. The suggested age is 4 years old and up. But I had a 3-year-old play and he did just fine. The game can have 2-3 players but if you have more kids just make teams. 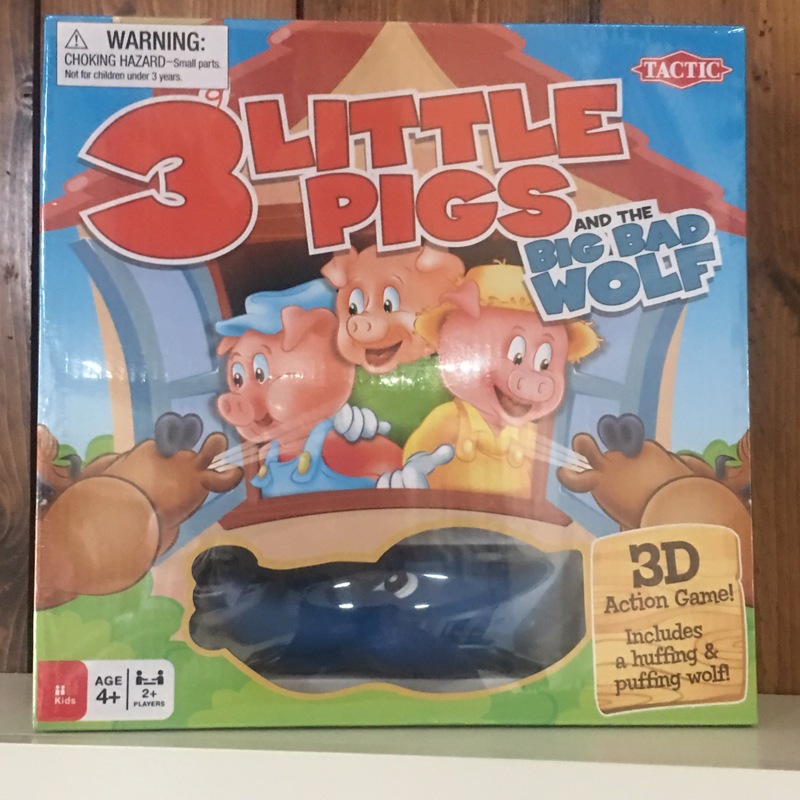 I thought the game was a fun twist on the story of the 3 Little Pigs. Everyone starts out with a green stand piece. Then you have to roll the dice. Each side of the dice has a symbol – straw, wood, brick, pig or wolf. If you roll straw you get to pick up the straw house, if you roll wood you get to choose the wood house and if you pick up brick you get the brick house. If you roll a pig you get to pick up a pig! And if you roll the wolf you get to use the wolf to huff and puff and blow a house down! I had kids ages 3, 6 and 9 playing the game. All three of them had a good time but I could tell the 9-year-old was tiring of it quickly. I would suggest this game for the preschooler to 2nd-grade crowd. The older children may enjoy the game but I know it will be a hit with the littles. I like how it can be played with 2 players! Often when we have play dates it’s just Peyton and one other child. So 2 players is perfect for our house. 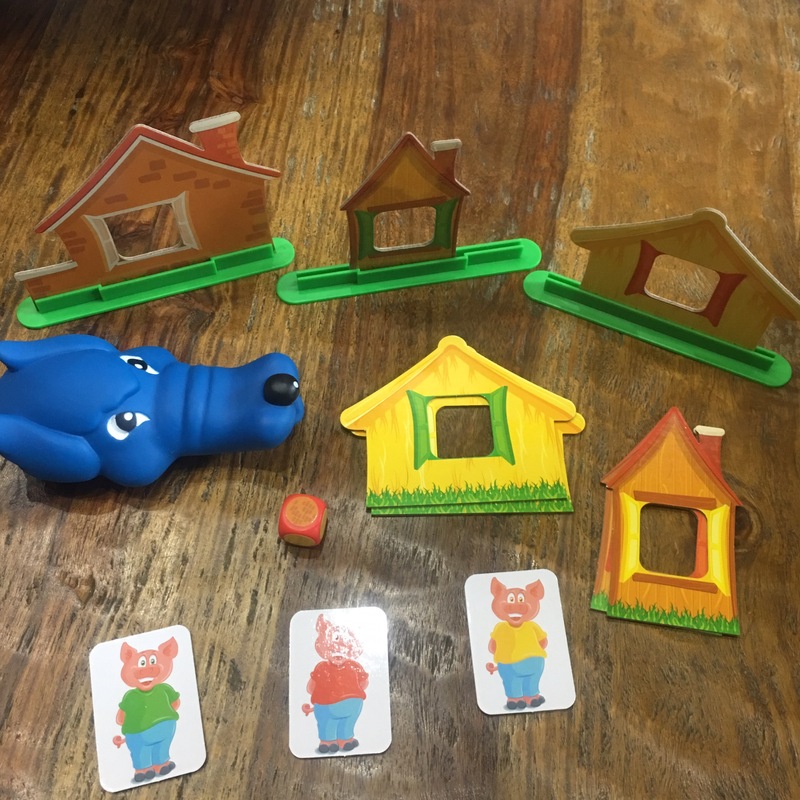 You can pick up your own 3 Little Pigs Game at Walmart or Amazon. It would be a great gift to bring with to family gatherings where little ones will be. It’ll keep them entertained while you visit with the family! I’ve seen this game on TV. It looks like fun for kids! My youngest nephew might really get a kick out of it. This sounds like a great game! I have a 7, 3, and 2 year old, so I definitely think that the three of them would really enjoy playing it together! 🙂 Thanks for sharing! I have 3 grandkids that would love this game and they love pigs! They know the 3 Little Pigs story so they would understand better how the game is played.